After six months of house arrest, Julian Assange has had ample time to come up with new ways of raising some extra money for his cash-strapped Wikileaks. 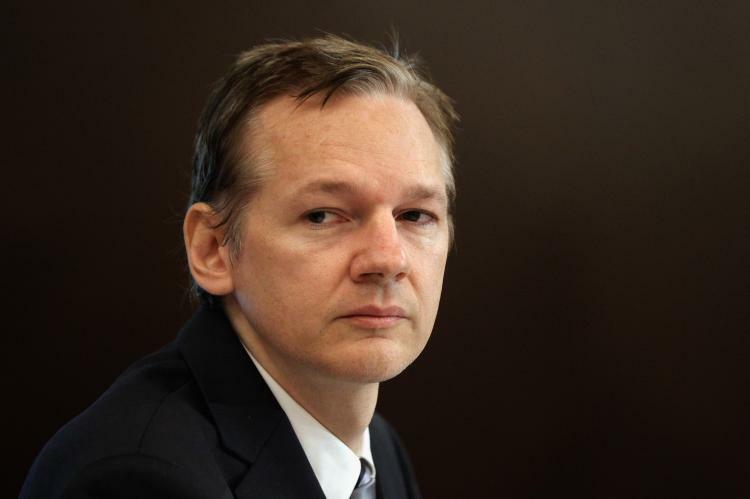 While an eBay auction may not be terribly original, its promise of lunch with Assange himself is likely to attract more than a few bids from Wikileaks devotees. “This is your chance at being one of eight people to dine with WikiLeaks editor-in-chief Julian Assange and renowned Slovenian philosopher, Slavoj Žižek,” reads the listing for the auction. The winner will not only receive a complimentary lunch in the presence of Assange at “one of London’s finest restaurants,” but also a front-row ticket to an event where Assange will be discussing “the impact of Wikileaks.” The listing also promises to pick up the cost of a cab ride from lunch to the Troxy in East London, where the event is taking place. The listing promising “lunch with Assange and Žižek to benefit WikiLeaks” first appeared on eBay earlier this week with a starting price of $564. Since then, 34 bids have driven the price up to $3,463, where it currently stands with over three days remaining.